It's not a bird. 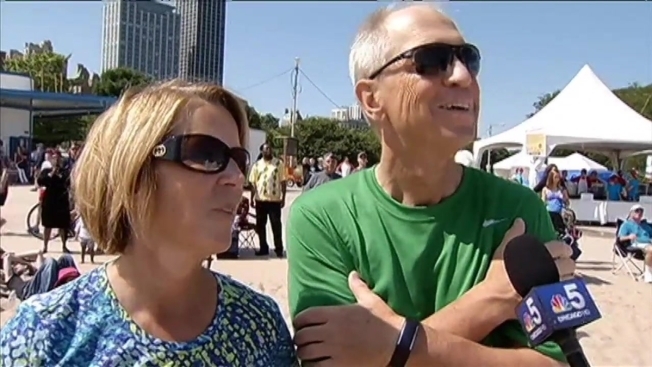 It's a plane in the Chicago Air & Water Show. The 56th annual Chicago Air & Water Show returns to city skies this weekend. The U.S. Navy Blue Angels and the U.S. Army Parachute Team Golden Knights are headlining this year's free aerial event. Viewers can watch military and civilian teams perform air and water stunts Aug. 16 and 17 along the lakefront from Fullerton to Oak Street or head to North Avenue Beach from 10 a.m. - 3 p.m.
08/15/14: The Blue Angels headline the 2015 Chicago Air & Water Show. Lcdr. 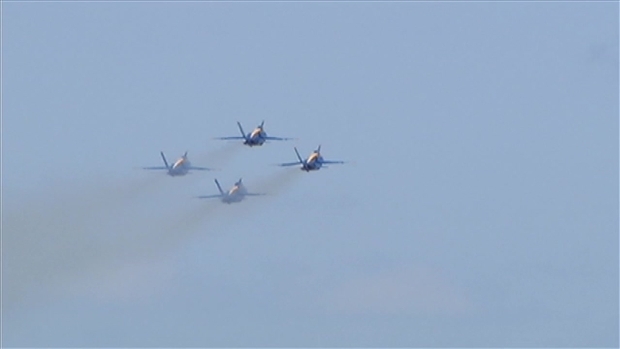 Michael Chang joined the NBC 5 NEWS TODAY to talk about why Chicago is a special place for an airshow and the precision needed to fly in formation. "The Chicago Air and Water Show is a summertime favorite providing exciting family entertainment in the skies above Lake Michigan," said Mayor Rahm Emanuel in a statement. This year, the U.S. Army Parachute Team Golden Knights and the U.S. Navy Leap Frogs will leap from an aircraft 12,500 feet above the ground, fall faster than 120 mph and make a perfect landing at North Avenue Beach. Find a list of the civilian and military teams here. 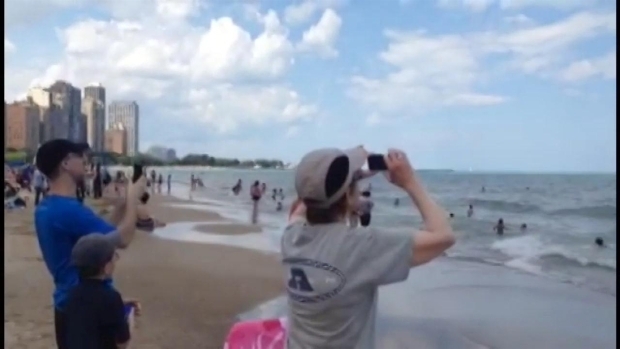 The Blue Angels, back after a couple of years, surprised some beach-goers Wednesday when they zoomed past in their Delta Formation as part of a photo op for the group. "I was just chilling on the beach with my friends and I was like, "Whoa you guys, look at this," Chase Basch said. "Like I saw five airplanes and they were really close to the ground too. And they were going really fast." "It was nice, it was a little bit different. It was kind of like shocking as well because no one expected it," Fawzia Lokat said. With an initial budget of $88, the first show was held between Chicago Avenue and Lake Michigan in 1959 and featured a Coast Guard Air Sea Rescue, water skiers, a water ballet and a diving competition. "For more than half a century, this event has grown into a spectacular display of aviation's finest pilots in a unique setting making it a destination for residents and visitors alike," Emanuel said. 8/13/2014: The Blue Angels did an unexpected flyby at Oak Street Beach Wednesday. NBC 5's Charlie Wojciechowski reports.